The other night we were driving home and our son asked us a question about the moon. He wanted to know why the moon looked so big sometimes and then, at other times, why it looked so small. We explained to him how the sun shines its light constantly on half of the moon. As the moon orbits around the Earth, we see different portions of that illuminated area. We explained that this process is called waxing and waning. When the moon waxes, it appears to grow in size. When the moon wanes, it appears to decrease in size. Did you know that each month the moon goes through eight phases of waxing and waning? 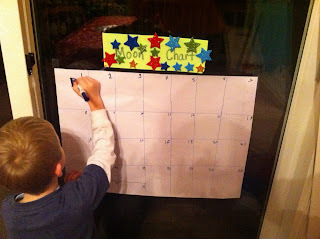 You can learn more about their phases here at KidsAstronomy.com. So, starting today, on the first day of December, we are going to keep a "MOON CHART". We will observe what the moon looks like each night and then draw its shape in the square for that day. 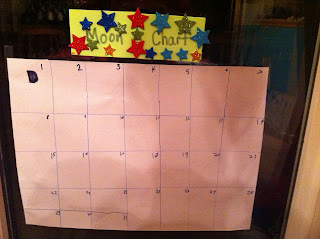 At the end of the month the kids will visibly see how the moon's shape appeared to change throughout the month! Won't you join us? 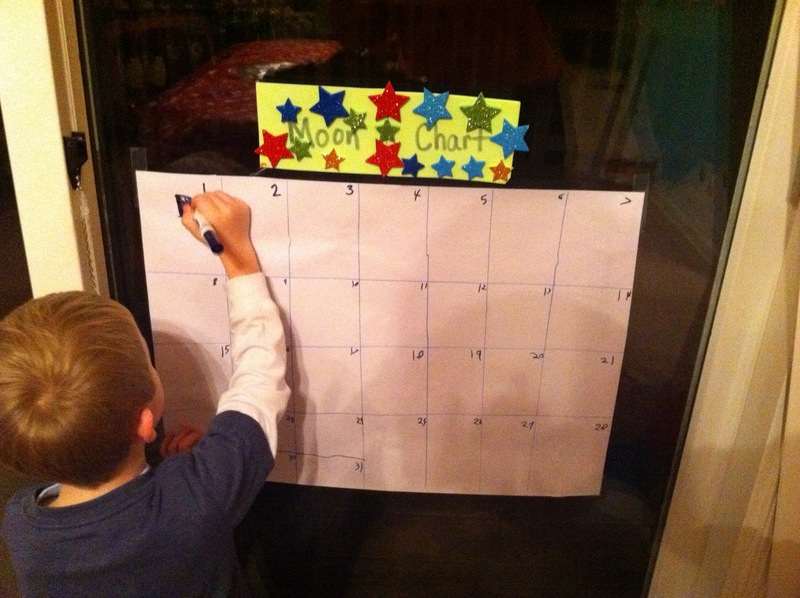 We would love to see your "Moon Chart". You can post them on our Facebook Page or send them to nightlightstories@gmail.com. As always we look forward to the many moon phases we can share together.